Rain, hail or shine, there’s always a party happening on BingoStreet, with loads of bingo games to choose from! Whether you’re looking for the more traditional style like 90 Ball Bingo, or progressive jackpots like Open House, there’s a game to suit everyone! At BingoStreet we want our neighbours to have the best time with great games and bingo promotions. Playing online bingo has never been more fun! And don’t forget, if you’re feeling the need to take a stroll away from the bingo games for a few minutes, check out some of our Instant Win Games, where there’s plenty of action day and night! 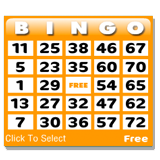 5 Line Bingo, also known as Swedish Bingo, is a fast paced game. The aim is to cover the lines either horizontally or diagonally. You can win with 1, 2, 3, 4 or 5 lines or a combination of this and each game is mix and match! It looks like a normal 75 ball game, but it’s actually a 90 ball game and the middle square isn’t free. 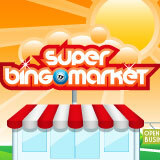 We have pre-buy, guaranteed bingo jackpot games playing on BingoStreet every day, week and month! The beauty of these games is that you can get your cards in advance, when it’s most convenient for you and the amount you can win is exactly what it says – so if you win the £50 Deal of the Day game you’ll win… you guessed it, £50 quid!